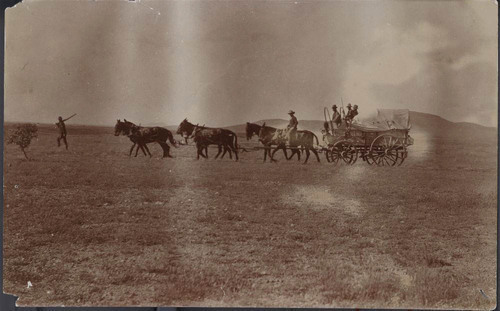 A photograph showing soldiers with a mule drawn supply wagon. Visible in the photo is a soldier with a rifle walking in front of the mules. The photograph was possibly taken in New Mexico.